Former auto industry titan Carlos Ghosn moved a step closer to freedom Tuesday as a Tokyo court unexpectedly granted him bail after more than three months in a detention cell. It was the latest twist in a case that has kept Japan and the business world gripped since the tycoon's shock arrest on November 19 over suspicions of financial misconduct. The court set bail at one billion yen (USD 9 million), but prosecutors are likely to appeal the decision and could even file additional allegations against the 64-year-old to keep him from leaving detention. The shock decision came a day after Ghosn's new lead defence lawyer, Junichiro Hironaka, told reporters he had filed a "convincing" application for bail that contained fresh elements. The court has previously said Ghosn's continued detention was justified because he posed a flight risk and could seek to tamper with evidence. It had already rejected two official bail bids and other attempts to win freedom. Speaking to AFP and French daily Les Echos in January -- his only interview with foreign media so far -- Ghosn himself said that his continued detention "would not be normal in any other democracy". "Why am I being punished before being found guilty?" Ghosn asked. 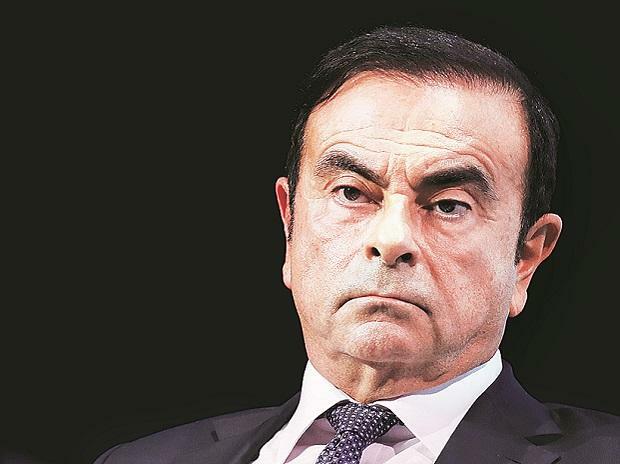 The former head of Nissan, Mitsubishi Motors and Renault faces three charges -- two involving alleged under-reporting of his salary and a third over a complex scheme in which Ghosn allegedly sought to transfer his losses to Nissan's books. That means prosecutors could effectively prevent Ghosn from leaving detention despite today's bail decision if they level new allegations against him, starting the 22-day detention clock. In a shake-up of his legal team last month, Ghosn replaced a former prosecutor known as "the breaker" with Hironaka, who has earned the nickname "the acquitter" for his court record and the "razor" for his mental sharpness. Speaking to reporters on Monday, Hironaka vowed a "completely new legal strategy" to obtain his client's release. On Monday, Ghosn's family said in a statement they would appeal to the United Nations Human Rights Council. The family slammed Japan for its "mediaeval rules", in a statement read out by a lawyer representing Ghosn's wife Carole, who has previously described her husband's detention conditions as "deplorable".